These rooms are perfectly complemented by a large state-of-the-art outdoor play area that was purposely built with the different stage of a child’s development in mind. In addition we also have an outdoor free-flow area connected to the nursery building which is sheltered so the children can play outside whatever the weather. This includes a flexible learning and play space which changes regularly. The aim at High Bank is to create a fun, homely environment where children are given the opportunity to develop to their full potential. As a parent you have an important role to play in your child’s development, so we keep you fully informed of your child’s progress at all stages. 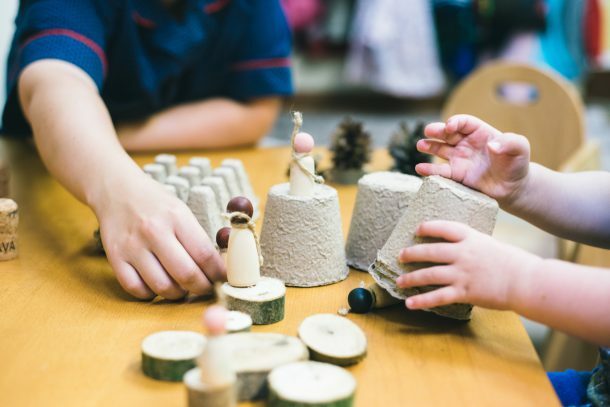 We encourage you to join in with events and activities, including trips, and as well as formal open evenings, you are more than welcome to discuss aspects of your child’s nursery experience with us at any time. Our door is always open to you. A deposit of £20 secures your child’s place at High Bank and this is refunded against your first invoice.